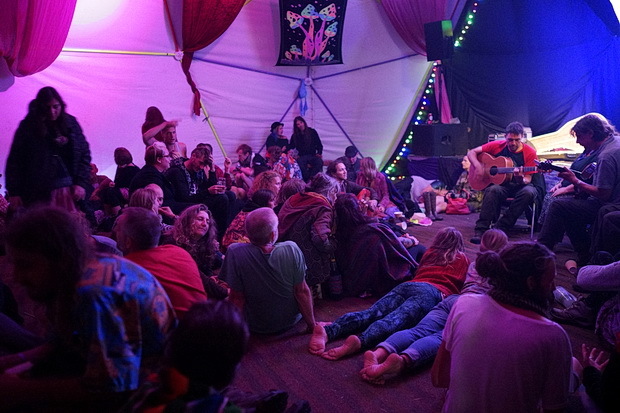 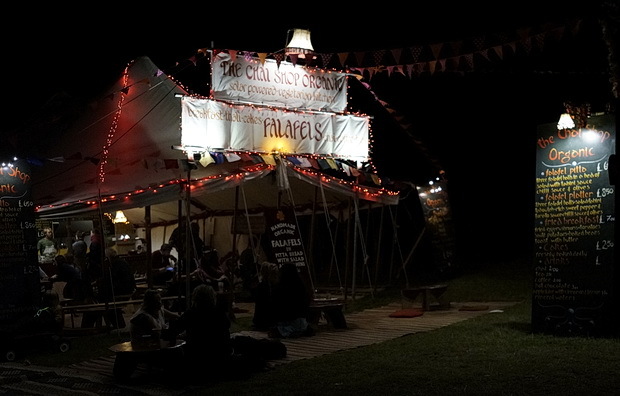 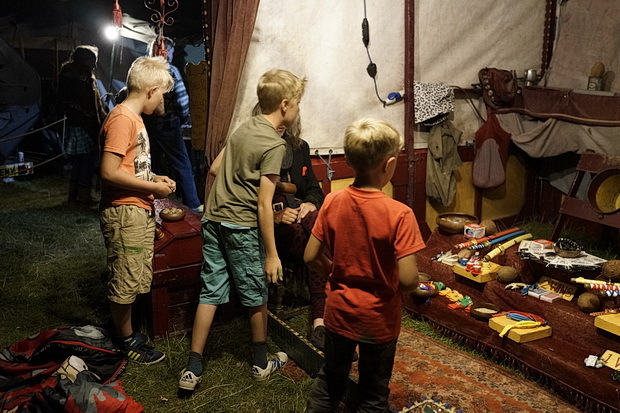 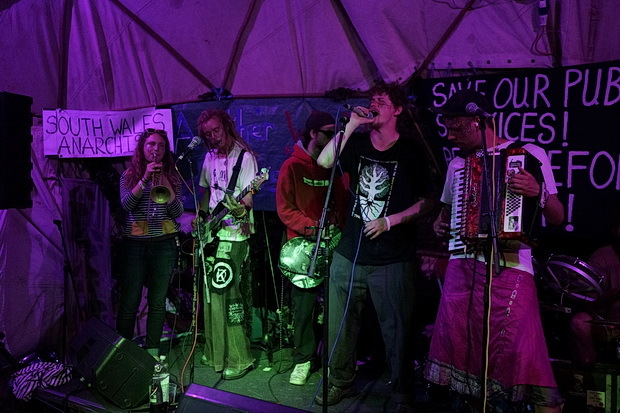 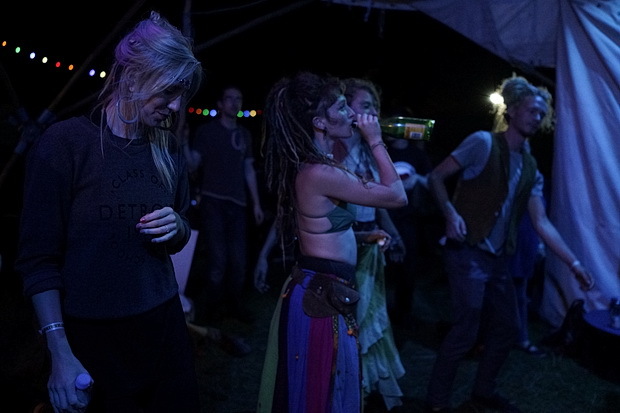 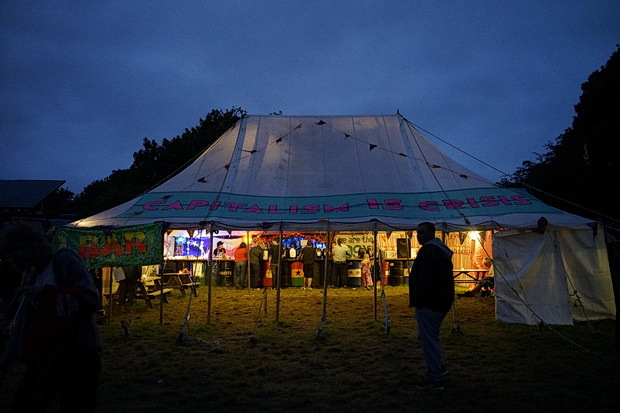 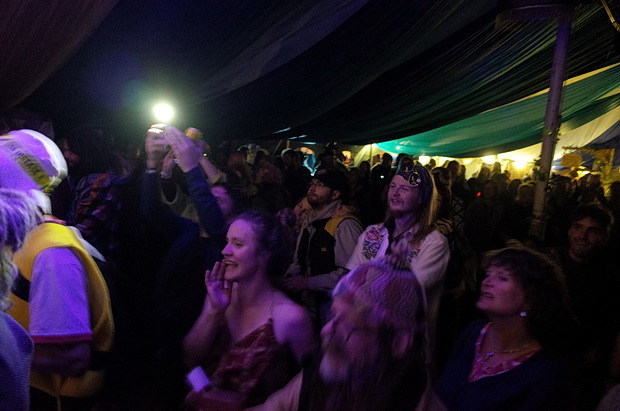 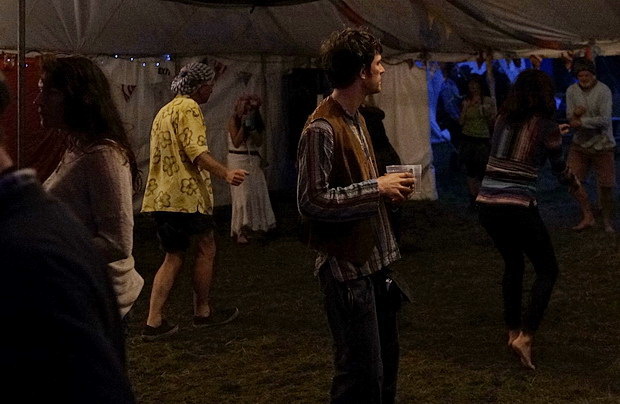 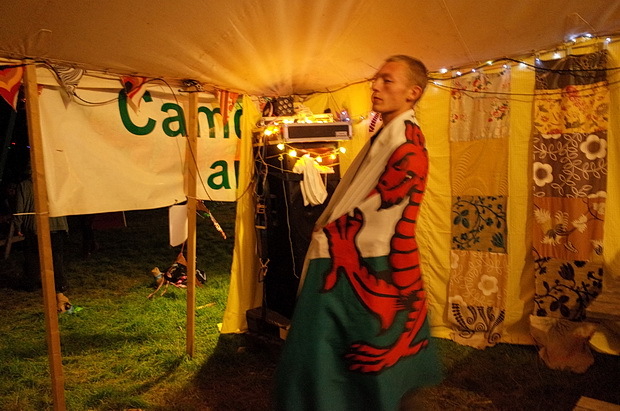 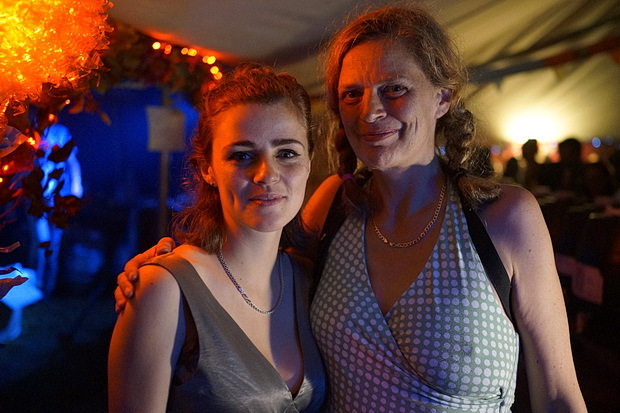 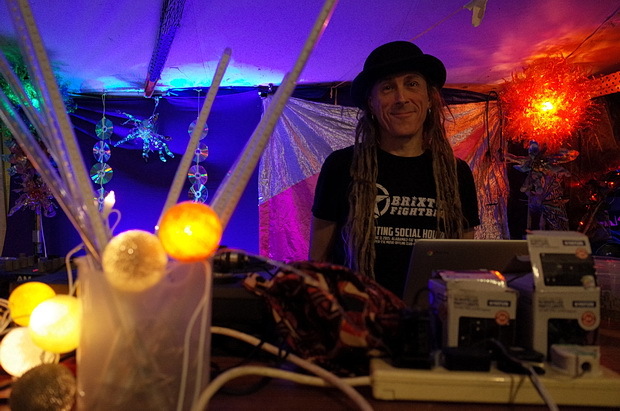 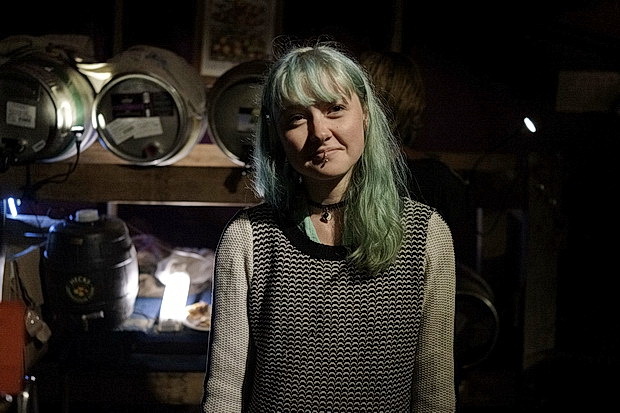 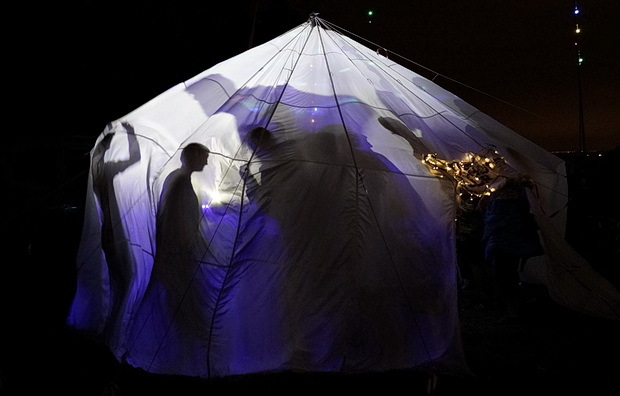 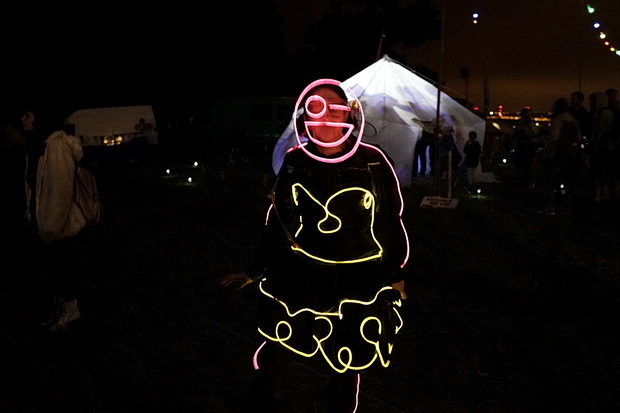 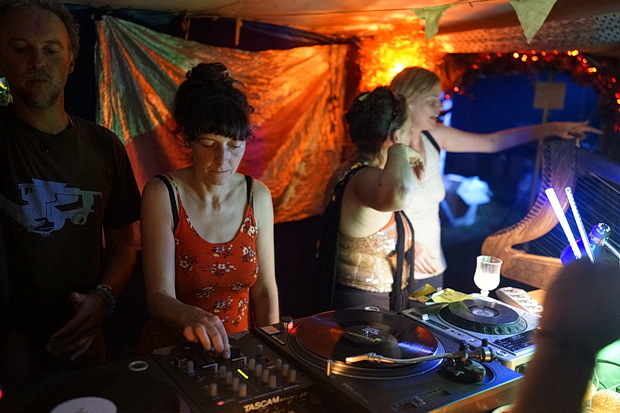 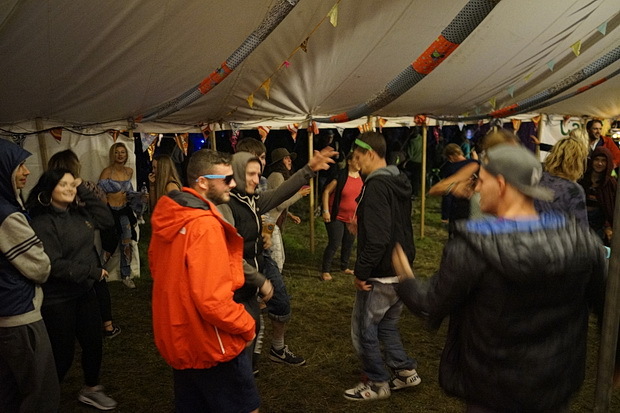 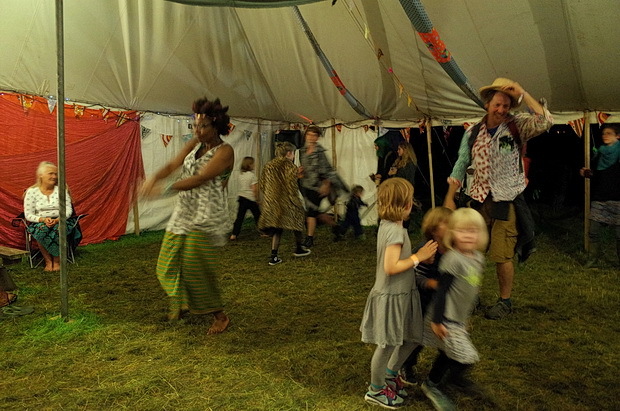 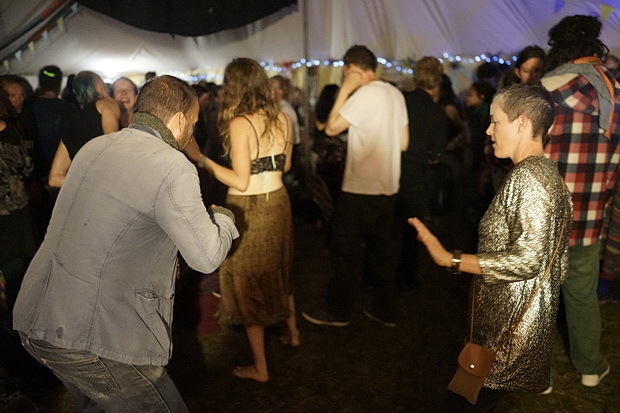 Following on from the daytime views, here’s the second and final batch of photos from this year’s Green Gathering festival in Chepstow, Wales, with this collection of scenes after dark. 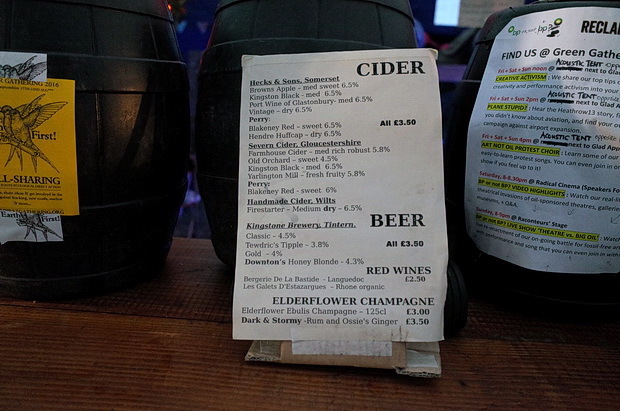 The beer prices were bloody great: a load of local beers and ciders, all for £3.50. 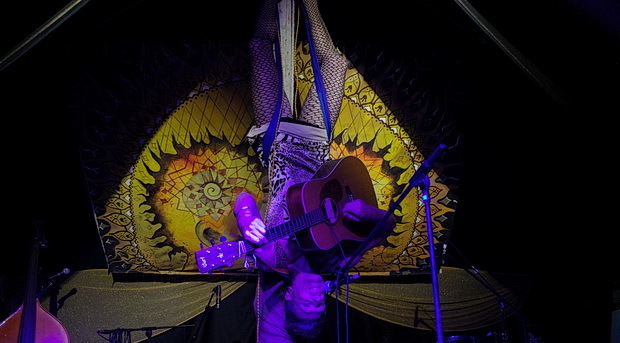 A harpist at the bar. 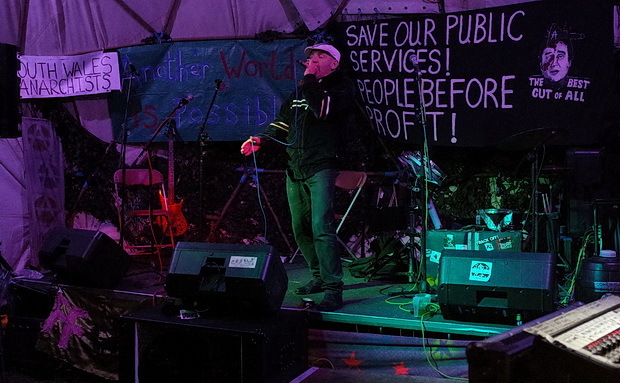 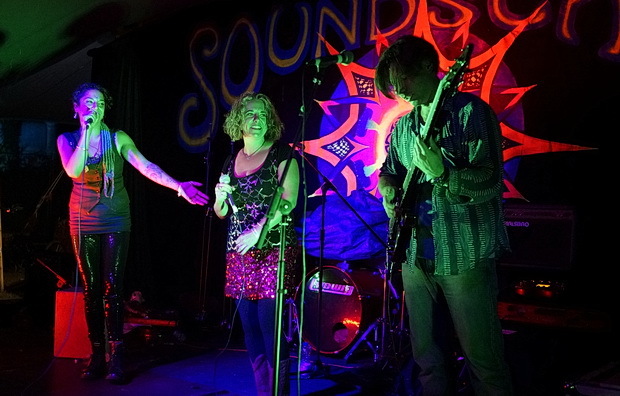 Brixton’s very own Jack Blackburn on the mic. 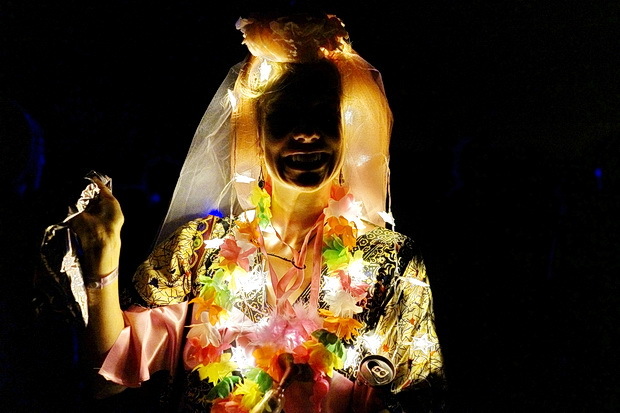 This guy in a dress was great. 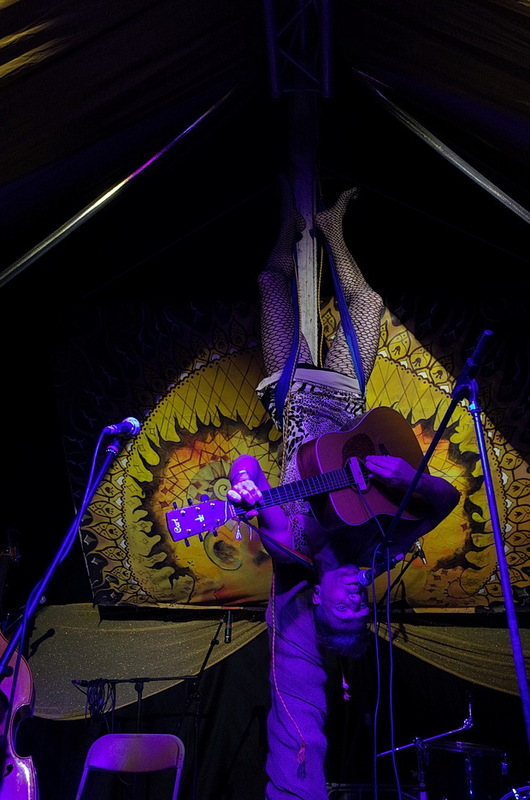 He took an age to get into the upside-down position, but once safely positioned, he sang out a rendition of Dolly Parton’s ‘Jolene’ and then left the stage. 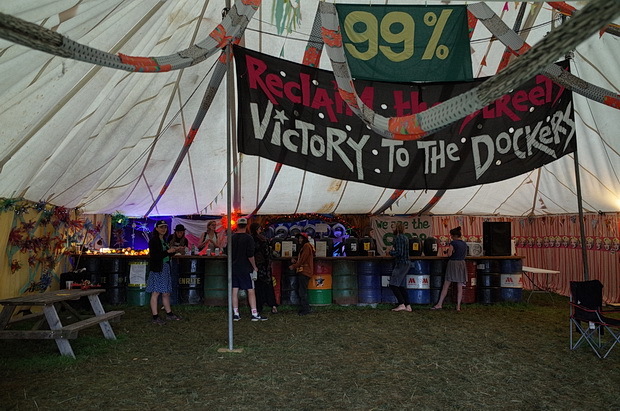 Dancing in the 99% Bar. 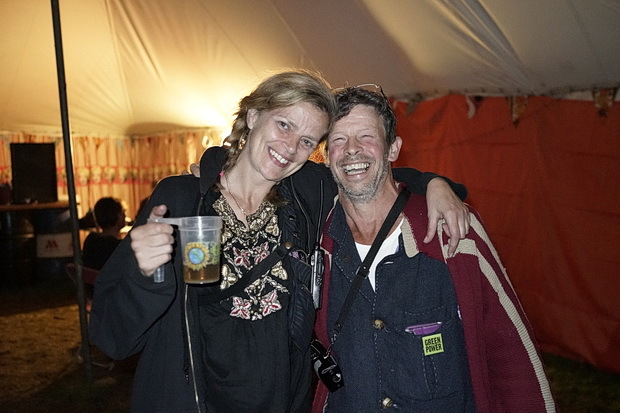 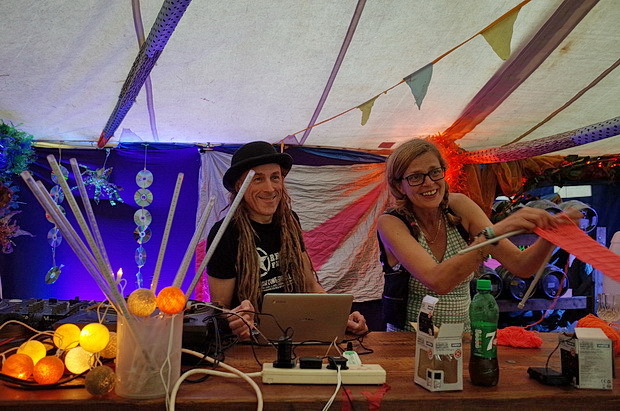 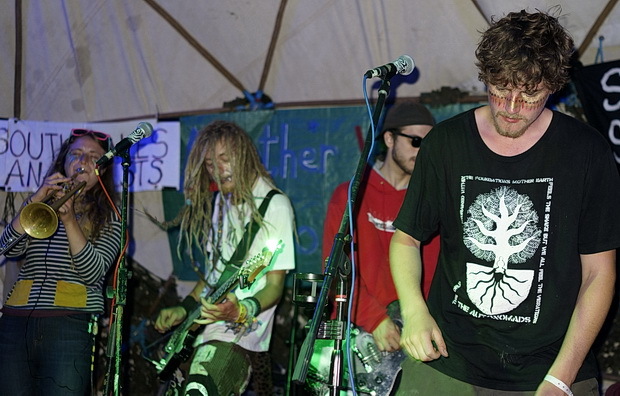 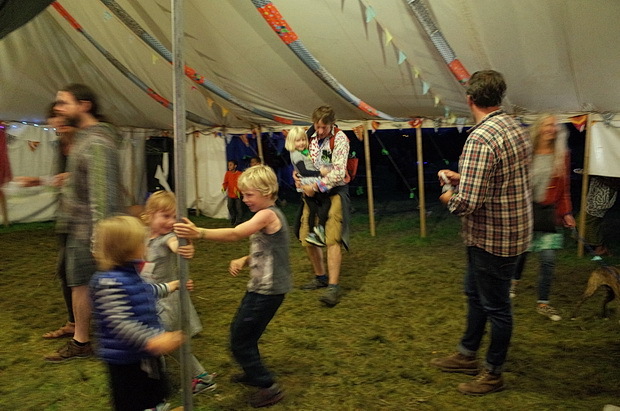 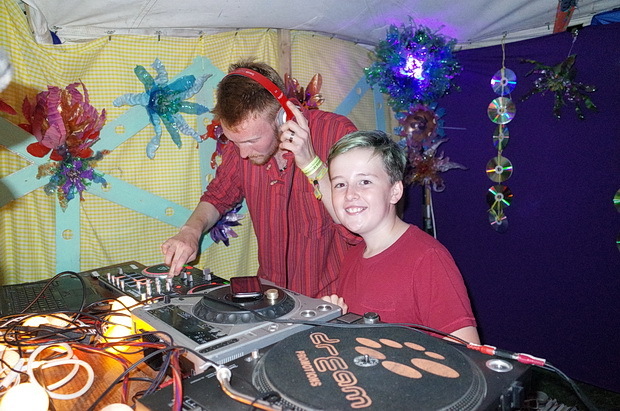 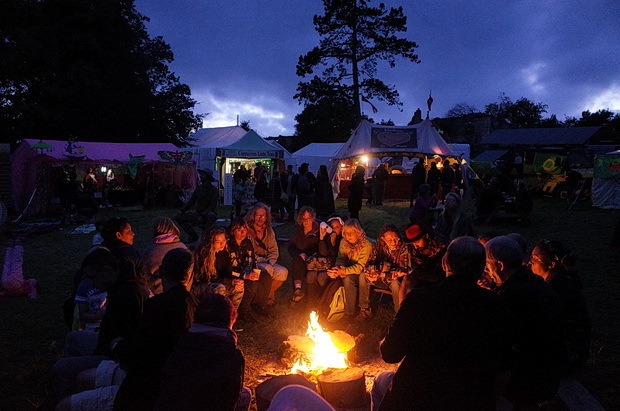 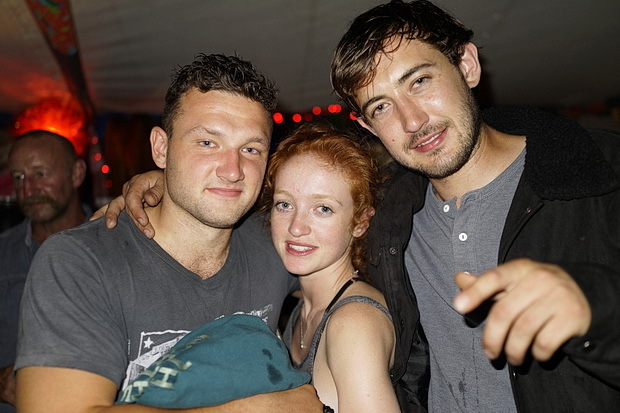 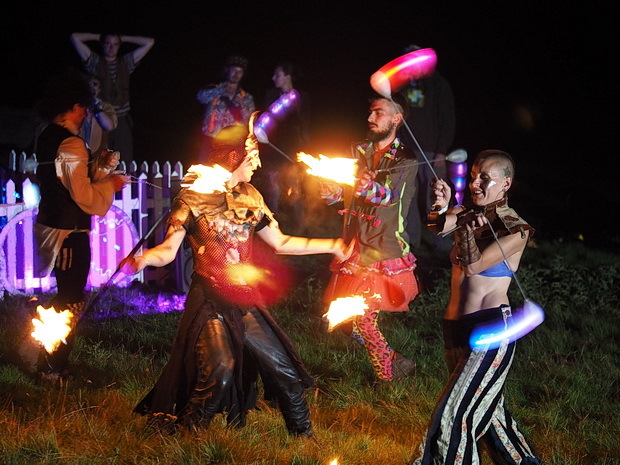 Chat about the Green Gathering 2016 on the forums.